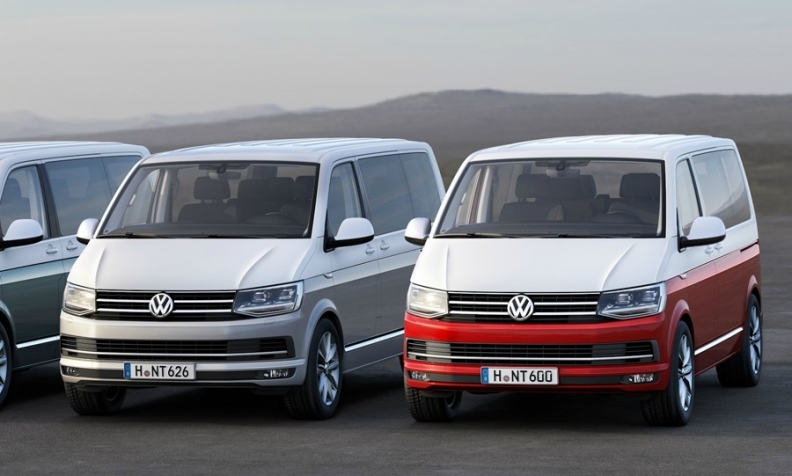 VW has stopped delivering the T6 Multivan to dealers in Germany. BERLIN -- Volkswagen Group says it has stopped delivering the T6 Multivan to dealers after detecting that diesel models emit excessive nitrogen oxide levels and has reported the findings to the KBA, Germany's motor transport authority. VW tests had shown that NOx emissions from the T6 significantly exceeded legal limits, German magazine Der Spiegel reported on Friday, without identifying the source of its information. The report said the automaker had set an emissions-related so-called "adjustment factor" too low when seeking KBA approval for the model. A VW commercial vehicles spokesman said it is looking into signs that "certain technical data" cannot be fully confirmed by reviews of the T6 model's actual and planned emission levels. The spokesman ruled out the possibility that the engine management software was the cause of the "uncertainties" and said VW had agreed with the KBA to run further tests. In September 2015, VW admitted to U.S. authorities that it had used manipulated software in some diesel engines that could detect when they were being tested and change the performance accordingly to improve emissions results. In total, 11 million VW Group cars were affected by the cheating worldwide. The group's Amarok pickup truck and Caddy model, both from the commercial unit, were implicated in the scandal because they also used Euro 5 EA 189 engines affected by the cheating. The T6 Multivan, which was introduced in 2015, uses the EA288 diesel engine that conforms to Euro 6. The spokesman did not comment on engine types, the number of vehicles affected or when the models in question were built. The KBA had no immediate comment on the matter.